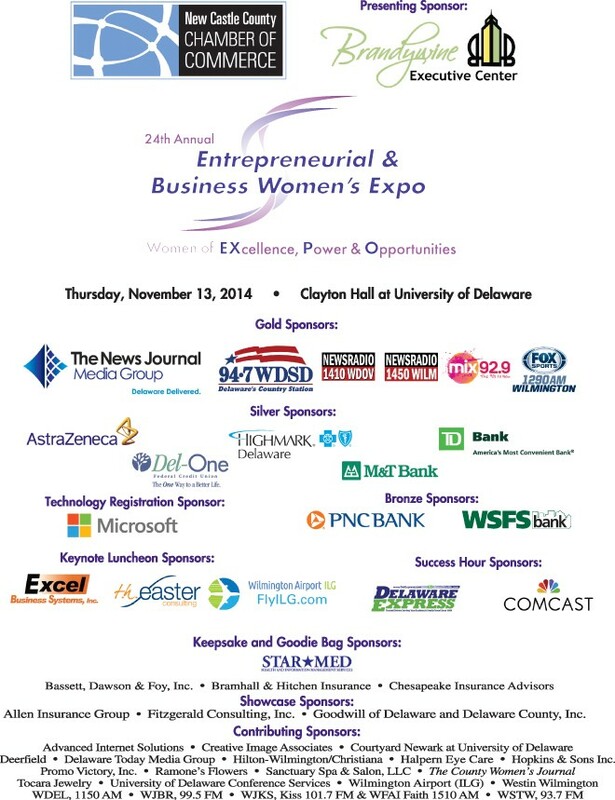 The 24th annual Entrepreneurial & Business Women’s Expo played to a sold out audience this past November. This popular event provides educational opportunities for attendees while expanding foot traffic for sponsors and vendors. The Expo is designed to motivate and inspire businesswomen at all levels, build lasting relationships, and embrace all opportunities! Attendees, exhibitors and sponsors are provided with endless networking opportunities, outstanding educational workshops, a business resource center and motivational programs. The house was filled at Clayton Hall at the University of Delaware with over 100 exhibitors, four engaging workshops and Melinda Emerson, “SmallBizLady”. Ms. Emerson wowed the lunch crowd with her story of hard work and ground breaking social media expertise behind the creation of her brand. The Chamber was also pleased to award the Entrepreneurial Women of the Year Award to Janet Killian, President, Gemini Janitorial Services and the Business Woman of the Year Award to Amy Eschenbrenner of Blue Hen Bed & Breakfast. Planning is already underway for the 25th Annual Silver Anniversary Expo. See you on November 12th, 2015 back at Clayton Hall! ← Previous Story “It’s Just A Sign, It Doesn’t Have To Be Professional.” …Oh, Really?